The F&B industry in Singapore is expanding at a rapid scale. The total number of establishments has increased rather steadily over the years, which has paved the way for the massive industry to sprawl like a wildfire. As the statistics say, in 2014 the total number of establishments in the F&B sector was 6,871, which increased to 7,229 in 2015 and further grew to 7,679 in 2016. 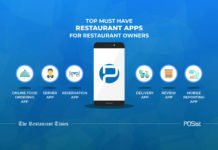 Considering the widespread growth of the restaurants and food business, it is not very difficult to comprehend that the competition is excessively stiff in this domain. Hence, to keep customers hitched to your restaurant you’ve got to travel that extra mile. 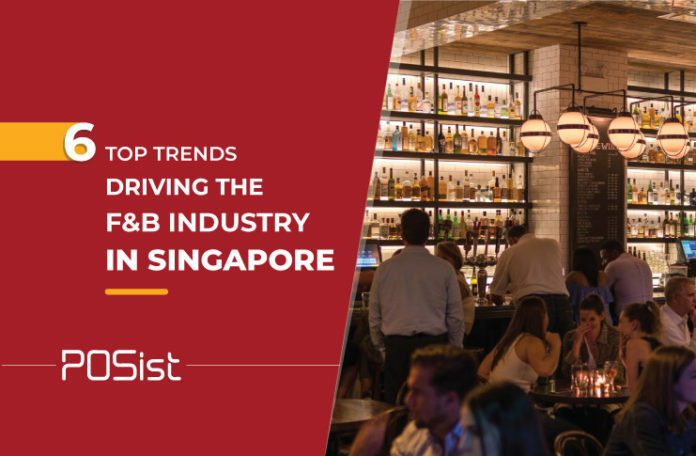 The F&B industry in Singapore is extremely dynamic in nature and new restaurant trends keep coming up, which the existing and upcoming restaurants must adapt to survive in the market. 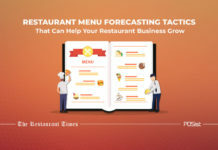 Every year comes with new restaurant trends that keep the entire industry and the customers hooked. 2018 is no exception to this ongoing process. Here we have listed the top trends of the F&B industry in Singapore that will continue to challenge, disrupt and entice the forerunners of the industry and the consumers alike! Since people are becoming health conscious by each passing day, veganism too has become an essential prerequisite that restaurants must include in their menu to attract that section of the population. Restaurants are offering healthy meals which are gaining ground amongst millennials and health buffs. Salads typically taken as a side dish are now taking over the main meals. Salads are evolving and becoming wholesome with the addition to protein and other macros. Items like couscous, feta cheese, chickpea and grilled chicken-based salads are favourites amongst the consumers. The generic belief that non-veg items or vegan alternatives are bland and are boring for consumption is becoming obsolete. Nowadays, with the growing popularity of this trend restaurants too are constantly innovating and curating finger licking vegan alternatives to tantalise all the customers in Singapore! Coupled with these, clean meats are making their presence felt in a massive way. The need for farms and slaughterhouses are very effectively being bypassed by the growing trend of chicken, duck and meatballs made from the animal cells. There are multiple restaurants in Singapore which are serving their customers with such healthy food alternatives. 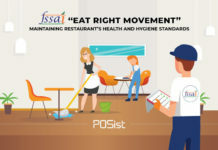 Some of the restaurant which are doing wonders in helping all the health conscious customers out there are Aloha Poke, Dosirak, Lean Bento, Rawbar among many others. Basic Asian flavours have been one of the basic food trends in Singapore. Different variations of the Asian cuisines, like the Thai, Vietnamese or the Korean BBQ have continued to do wonders. However, now, customers are on the lookout for new flavours. 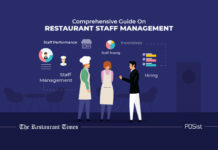 With globalization, the world has become really too small, and with the culinary shows that are telecasted across borders, the flavours, the spices and the cooking techniques of every part of the world have become known to many, especially those who are involved in the F&B industry. Indian cuisines being one of the most diverse cuisines provides a wide range of options. The aromatic spices, fruits, vegetables and the cooking techniques that are found in India, are being readily infused with the local flavours found in Singapore. Hence, items such as tandoori chicken poutine or spicy lamb burritos are being readily available in Singapore’s food landscape. There are quite a few Indian restaurants present and are doing wonders to the food industry in Singapore, like, Muthu’s Curry on Race Course Road, Tandoori Corner in Boon Tat Street. Samy’s Curry, Gayatri Restaurant on Race Course Road, and Khansama Tandoori Restaurant. These are just a few from the endless list. 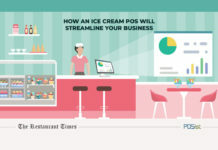 In the new age of technology, when the entire restaurant operations have become seamless with the use of robust POS software, why should monetary transactions be left behind? Hence, the F&B industry in Singapore has seen the swift transition from cash transactions to cashless payment methods. Cashless transactions not only reduces the scope of manual labour, it also minimises the chances of monetary discrepancies. 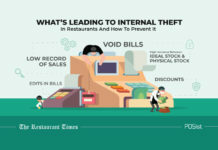 Since the restaurant industry is notorious for internal thefts this new cashless system has come handy and has been a delightful solution for most of the restaurateurs out there! In other parts of the world, other technological inventions are coming up to enhance the customer experience and the restaurant operations. With technological innovations like Siri, Home and Alexa, you will be able to order just by using your voice, without raising a finger or leaving the comfort of your home. Or the concept of facial recognition, which has become quite predominant in the west is expected to cast their spell on the F&B industry in Singapore soon! Confused about how a facial recognition system works? Don’t be, we are here to explain that to you. For example, A KFC outlet in China is very skillfully using the facial recognition technology rather well. They have embedded a camera in their ordering kiosk that almost instantly recognises the customer’s face, the person’s details and his ordering history. If the customer wants to repeat his order, all he needs to do is swipe his card, and order will be sent to the kitchen. While cashless payments are already quite dominant in the F&B industry in Singapore. 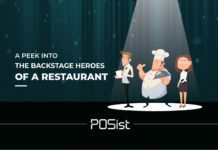 Don’t you think that if you are one of the first ones to start using the facial recognition, electronic fingerprint or retina scan or such other new age innovations, you will automatically rank higher on your customer’s favourite restaurant list? Single dish restaurants are here to create gourmet heroes! There is nothing better than specializing in one particular thing and nailing it like no one in the market. 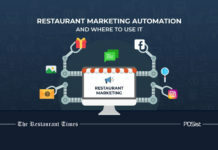 This is a sure shot way of tempting all the potential customer to drop by ones, after which you can tantalize them with you innovative dish and turn them into loyal customers. Presently the F&B industry in Singapore has seen more of those one savoury dish restaurants but it will not be a surprise if you happen to see the popularity of the one dessert wonders. This is a restaurant trend that that has not been explored well yet, hence what are you waiting for? Pick up that one dish and master it like no other! 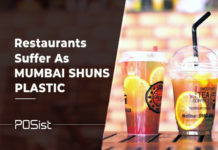 Self-service terminals or grab and go outlets was first deployed by McDonald’s and the Golden Village Cinemas in Singapore, but this concept has grabbed a great deal of attention and is being widely accepted by the fast food franchises, and large chain restaurants in Singapore. The Singapore government realised the chronic problem that has been handicapping and plaguing the food industry of Singapore for a long, long time. Yes, you guessed it right, it is the festering problem of the low skill labour shortage in the country. 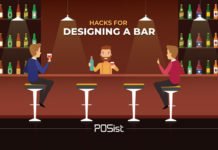 As a refreshing solution, the Singapore government passed an act legalising and encouraging the restaurants of this country to indulge in self-service terminals or kiosks which is also called self-service technology or SST. Ever since several restaurant chains and fast food franchises have started exploring this domain of grab and go. This kind of setup not only reduces the need for manpower which in turn helps the restaurant owners to cut down on the labour cost, it is also very effective while serving in peak rush hours. Not only is this kind of a format pleasant for the restaurateurs, it is also a pleasant welcome for all the customers. Since, it increases the ordering experience for them, while reducing the scope of misplaced orders to a great extent. Self-service kiosks, which customers can access 24X7 have been present in Japan for decades, however, it is never too late to catch up on something new. F&B industry in Singapore has already made its presence felt in this format, they just need to hone their skills a bit further! 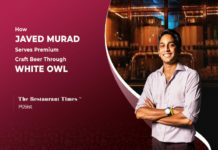 The government of Singapore is increasingly encouraging the localized startups in the F&B space. This has given all the aspiring entrepreneurs to start their very own venture. However, since the initial investment in starting a restaurant venture is quite a lot, it is a lucrative option for them to start at a low scale as a home chef. 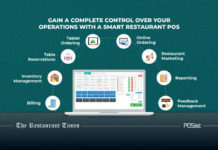 This will not only give you the opportunity to serve your unique dishes to the customers, but you can also save the profit incurred and start your restaurant in a year or two. 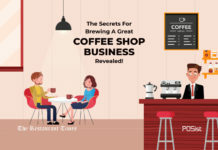 Since you will also have a well-established customer base, it will not be difficult for you to create that buzz in order to attract customers. In addition to this, the booming success of the delivery platforms will only streamline your home kitchen operations. Some of the leading delivery platforms in Singapore are Deliveroo Singapore, Ubereats Singapore, FoodPanda Singapore, What to eat delivery, and Food Matters Singapore. 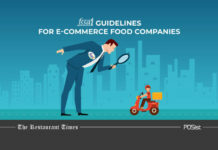 Memorise these top trends in the food industry of Singapore and bring in all the necessary changes that will help you to carve that edge over all your competitors in the market!